Reprint. Originally published: London: Marion Lloyd, 2013. The exciting companion to THE WHIZZ POP CHOCOLATE SHOP. A secret government department, once again, needs the magical help of Oz and Lily in a desperate new mission. 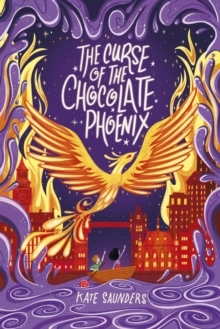 Along with everyone's favourite cantankerous cat, Demerara, her ratty companion Spike, and the help of some powerfully magical chocolate, the childrenmust travel back in time to the height of the Blitz. Can they defeat some very dangerous supernatural creatures and save London's famous cathedral from destruction by fire?